Travel + Leisure and Conde Nast Traveler magazines have revealed their readers’ say, and now Porthole Cruise magazine, a publication devoted solely to the cruise travel industry, has unveiled its Readers’ Choice Awards 2016, and the love is spread around a bit farther this time around. Best Small Ship (fewer than 500 passengers) goes to Seabourn’s Seabourn Sojourn, Best Medium-Sized Ship (500-2,000 passengers) to Azamara Club Cruises’ Azamara Journey, Best Mega Ship (at least 2,000 passengers) to Norwegian Cruise Line’s Norwegian Escape, Best Tall Ship to Windstar Cruises’ Wind Surf, Best River Ship to Viking River Cruises’ Longships and Best Luxury Ship to Regent Seven Seas Cruises’ Seven Seas Explorer. It’s not surprising to see newcomers Norwegian Escape and Seven Seas Explorer move the dial, and Azamara succeeds with its newly remodeled fleet as classics like the Seabourn Sojourn and Wind Surf remain favorites. Plus, Viking’s ever growing fleet of Longships clearly continues to elicit a positive response. Meanwhile, broader cruise lines are praised as Carnival Cruise Line takes Best Value-For-The-Money Line and Best Cruise Line for Teens; Disney Cruise Line takes Most Family-Oriented Line; Norwegian Cruise Line takes Best Cruise Line for Solo Travelers and Best Line for Short Cruises; Windstar Cruises takes Best Romantic Cruise Line; Holland America Line takes Most Eco-Friendly Line, Best Shore Excursions and Best Private Island; and Silversea Expeditions takes Best Expedition Line. 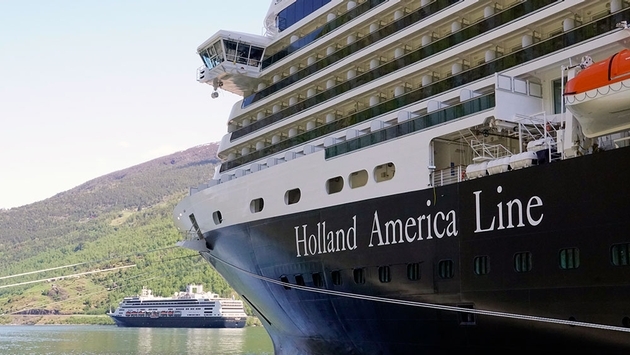 It’s well done by Holland America to impressively sweep three awards in a year that its new Koningsdam debuts while both Carnival and Norwegian each receive two of their own, with each reflecting the products quite accurately, especially NCL thanks to its great studio staterooms for individual cruisers. Rounding out shipboard experiences is Royal Caribbean International with Best Onboard Activities, Best Computer Facilities and Best Spa Facilities; Crystal Cruises with Best Onboard Enrichment; Oceania Cruises with Best Main Dining Room Cuisine; Norwegian Cruise Line with Best Specialty Restaurants, Best Casinos, Best Fitness Facilities and Best Nightlife; Celebrity Cruises with Best Accommodations; Princess Cruises with Best Onboard Shopping and Best Signature Cocktail; Holland America Line with Best Medical Facilities and Best Facilities for Guests with Disabilities; Disney Cruise Line with Best Children’s Program, Best Entertainment and Best Onboard Photography; Seabourn with Best Service; Carnival Cruise Line with Best Website, Best Theme Cruises and Best Cruise Director; and MSC Cruises with Best Social Media. Again, these assessments are spot on, and kudos to Norwegian for winning in four categories. 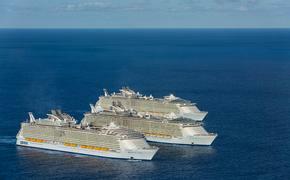 Particularly on point are Seabourn’s accolade for service, Disney Cruise Line for entertainment and Oceania for dining. Lastly, Royal Caribbean International won for Best Caribbean Itineraries; Holland America Line for Best Alaska Itineraries, Best Canada/New England Itineraries, Best Northern Europe Itineraries and Best Asia/Pacific Itineraries; Norwegian Cruise Line for Best Hawaii Itineraries and Best Bermuda Itineraries; Carnival Cruise Line for Best Mexican Riviera Itineraries; Princess Cruises for Best Central America Itineraries and Best South Pacific Itineraries; Oceania Cruises for Best South America Itineraries; Costa Cruises for Best Mediterranean Itineraries; MSC Cruises for Best Africa/Middle East Itineraries; Cunard Line for Best Trans-Atlantic Itineraries and Best World Cruise Itineraries; and P&O Cruises for Best Australia/New Zealand itineraries. As in the second set of awards, it's impressive to see Holland America again master four shoreside categories, and Norwegian deserves the Hawaiian one for being the only line to see the islands roundtrip in a week’s time and Cunard does also the transatlantic one for having the only ocean liner for passing comfortably through the region.